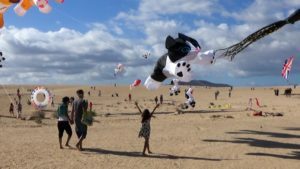 The 30th annual Fuerteventura International Kite Festival 2017 will take place from 9th to 12th November. 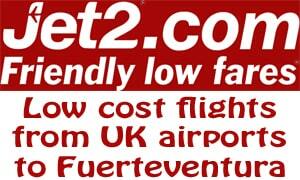 The event takes place during these dates on the dunes beach in Corralejo and it is definitely worth a visit. 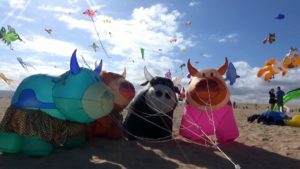 I mention it on here, not only because it is worth going to Corralejo to see it, but also because the kiters come to Playa de le Concha in El Cotillo. 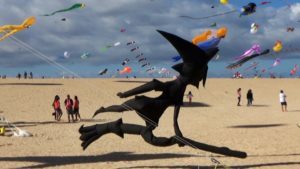 They fly their kites in Cotillo on many days leading up to and after the festival. 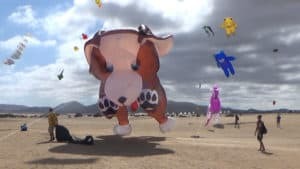 The kites are not just standard kites but huge 3D kites in all sorts of shapes and sizes.